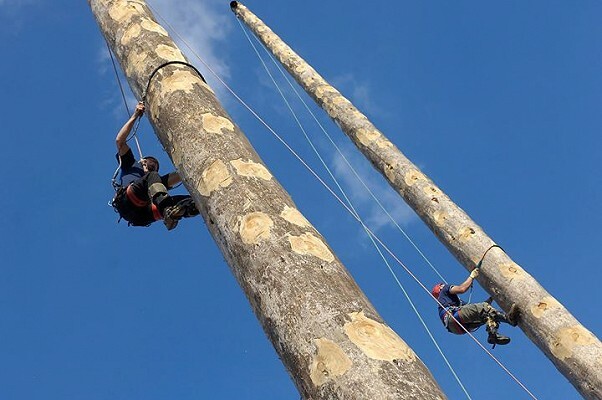 APF 2018 is by far the largest arboricultural event of the year. Taking place on the 20-22 September at Ragley Estate, Warwickshire, around 320 exhibitors and 23 000 visitors are expected over the three days of the show. The APF Exhibition is the UK’s largest forestry, woodland, arboriculture, fencing and biomass show. The show caters not just for the forestry, woodland and tree care industries but also fencing and is of significant interest to the farming industry with a lot of machines and equipment designed for small woodlands and for adding value to small parcels of timber and individual trees. Ditch Witch will be showcasing innovative equipment designed to help landscapers and tree surgeons be more productive and confident on the job at this year’s APF Exhibition. Customer-driven equipment will be on display at the Ditch Witch Stand 1260-1280. The industry-leading Ditch Witch SK600, SK755, SK1050 and SK1550 mini skid steers. This lineup features a full range of capabilities from advanced manoeuvrability on small, compact jobs to superior power on heavy-duty jobs typically suited for traditional skid steer loaders. All models feature customer-driven enhancements, providing an unbeatable smooth ride and an ergonomic, comfortable operator platform. Attachments that further enhance the versatility of these units will also be on display at the Ditch Witch stand.